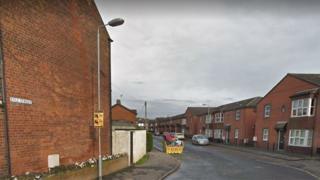 The police have arrested two men as part of a murder investigation into the death of a man in east Belfast. Police said the investigation was launched after the report of the death at a house in Kyle Street early on Friday morning. The two arrested men remain in custody. East Belfast DUP MLA Robin Newton said the investigation was "an inquiry into a dreadful incident that will raise concerns across the community". "The police need the support of the whole community as they carry out their work. "Anyone with even the smallest scrap of information needs to help them keep our community safe," he added.